Americans Trapped By High Gas Prices : TreeHugger: ""We're locking ourselves in, and it becomes almost a downward spiral," he says, noting that people are paying for gas by cutting other spending. "Significant numbers of people told us they're cutting back on food," says Lisa Margonelli, the foundation's director of energy policy." 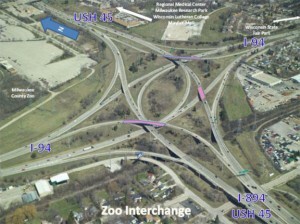 Streetsblog.net » The Scandalously High Cost of Shortchanging Transit: "But it turns out that having a transportation system based entirely on automobile travel isn’t exactly cheap. Now, instead of reaping savings, Wisconsin is drowning in highway bills." Opponents of public transit often (describe) tax support for transit as a "subsidy" and (argue that) bus and train riders should pay all costs. But in the five-year period studied, state aid to transit systems accounted for less than 6% of the $10.2 billion that the state spent on transportation, the study found. And while drivers pay just 17% of the cost of local roads, according to the study, bus riders paid almost 29% of transit costs in 2010, the Wisconsin Urban and Rural Transit Association says. 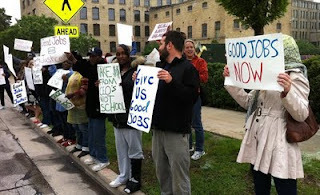 Cuts in transit could add to poverty levels in Milwaukee | Milwaukee Courier Weekly Newspaper: "The recently released study drew concern from county supervisors. County Executive Chris Abele and the supervisors blame Madison for the bus system’s plight. Following the recommendation of Gov. Scott Walker, the Legislature cut aid to transit systems statewide by 10 percent in the 2011-13 state budget. That will be a $6.8 million cut for Milwaukee County next year, partly offset by $1.45 million in new aid for Transit Plus service for disabled and elderly riders. Together with other revenue shortfalls and rising expenses, the transit system is facing a $15 million budget hole for 2012." Want jobs? Then we need transit | Fresh Energy: "In other words, if you do not have a car, those jobs are out of reach. If you do have a car, that will become the only option for you to get to work, equaling more fuel consumed, more road wear, more expense for the worker." Bus riders don't seem to get a fair shake - JSOnline: "That's why those without cars need strong advocates whenever important decisions about public transportation policy are made. If things get too drastic, we might even need another civil rights movement for bus riders everywhere." Obama Proposes Cutting Oil and Gas Subsidies $41 Billion to Help Fund Jobs Package | ThinkProgress: "“The bottom line is, when it comes to strengthening the economy and balancing our books, we’ve got to decide what our priorities are,” he said, speaking in the White House Rose Garden. “Do we keep tax loopholes for oil companies, or do we put teachers back to work?”"
CRE Guide — Take 5 with Joel Rast - The Business Journal: "One thing is clear: if the proposed service cuts are implemented, the results will be disastrous for Milwaukee County. Next week, the UWM Center for Economic Development will release a study showing the impact of the proposed transit service reductions on access to employment. Our study will pinpoint the locations of all employers in the region who will lose transit service if the service reductions proposed are put into effect. We will also identify the numbers of workers who will be affected." My name is Zach Komes and I am president of the City of Milwaukee Youth Council. I am a senior at Rufus King High School and had the opportunity to meet you when I organized a “Teen Voter Forum” at our school during your campaign. I am writing on behalf of the Youth Council to urge you to prevent fare increases of the Milwaukee County Transit System (MCTS) from affecting the youth population in Milwaukee County. As you know, high school students in the county are heavily reliant on the transit system and are thus more likely to be affected by a fare increase. The County has undergone numerous fare increases in the past 10 years. The economic downturn, in addition to a competitive job market, the need for a high-skilled workforce and program cuts to Mayor Barrett’s summer jobs initiative, has led to decreased incomes of young people. According to the Employment Policies Institute which studies the U.S. job market, the national unemployment rate for teens who are seeking employment is 24%, which is an increase from the national average of 20% from 2008-2010. As you can understand, a fare increase on transit would have a drastic impact on youth ridership, especially those who use the bus to travel to school, work or for pleasure. I am proud to say that the Youth Council passed file number #1105 opposing the state budget cuts to MCTS at our July formal meeting. We understand that the County has to deal with these cuts to its budget, but it also has the responsibility to provide services for our city’s most susceptible population. Therefore, the Youth Council proposes that your office looks into proposing a special youth fare for those ages 12-18 years old in the event that there is a standard fare increase. We kindly advocate for a fare that stays at the current $2.25 level, or a slight increase that is not as large as the general adult fare increase. Please take into account how MCTS cuts will affect our County’s younger population. We look forward to hearing your response and listening to ways that the County and the Milwaukee Youth Council can work together in the future. 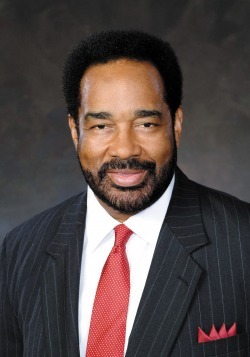 Managing Director Lloyd Grant, Jr. The article linked below shows clearly that as long as the subsidized private auto has critical-mass as transportation and public-transit is "alternative" transportation, the discussion will be one-sided. Before we fight for rail, we have to break the critical-mass of the private auto. At that point, the extensive subsidy of the auto and sprawl will be revealed as a burden, an unnecessary burden. Freeway Flyer: Milwaukee County Transit considers cutting Freeway Flyers to balance budget - WITI: "Milwaukee County Transit is grappling with an unprecedented $6.8 million a year cut in state aid. Milwaukee County is still in the early stages of the budget process, but transit officials will have to make widespread service cuts in 2012. The Freeway Flyer buses take people to park and rides outside of Milwaukee. In the face of budget cuts, these buses may be the first to go." Downtown businesses hop onboard for streetcars - BizTimes: "“We want to see Milwaukee thrive with increased jobs, an expanded tax base, a revitalized downtown area and a boost to our city’s overall image. It will take cars off the roads, encourage cycling and walking, and will attract creative talent. Milwaukee Streetcar has the power to accomplish these goals. This is just the sort of public investment that our city needs,” wrote the Fowlers and Miller of Alterra. “I believe the addition of this system will vastly improve circulation of business people, residents and visitors throughout our downtown area and help alleviate some of the parking issues that we all face when trying to visit downtown restaurants, businesses and tourist attractions,” Steimle wrote." GREEN BAY, Wis. (WFRV) -- Riding the bus on Saturday will be free, starting July 16. It's being called "Green Saturdays." It is one of four new changes the Green Bay Metro is making to increase ridership on its buses. Other changes include lowering the price for students from $1.50 to $1, and increasing routes on the west side of the city. 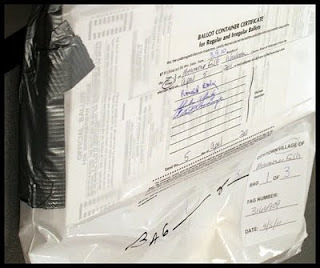 Walker Shouted Down at Gateway Technical College 7/12/11 from Kevin Mulvenna on Vimeo. 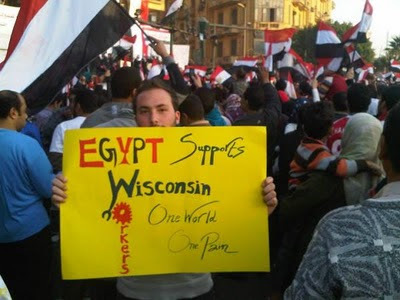 Report indicates state-run monitoring of protest-related social media, criticizes official response to protests | Dane101: "A recently released report (pdf) put together by the Wisconsin National Guard and Wisconsin Emergency Management now seems to confirm there was, in fact, state-run internet monitoring happening during the protests." 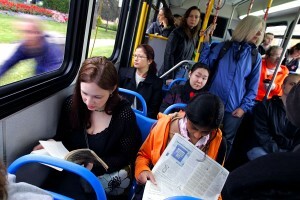 State budget cuts transit funding, but it could have been worse - JSOnline: "Less bus service. Higher fares. No more regional transit authorities. No more planning for new commuter rail lines. And dim prospects for new public transit funding. That's what the new state budget could mean for transit systems across Wisconsin. By this time next year, hundreds of thousands of Summerfest patrons may no longer be able to ride buses to the festival grounds. The rest of the year, many more area residents could have a harder time getting to work and school." Phineas Baxandall: In the Public Interest: Examining Governor Scott Walker's Highway Boondoggles: "Expensive and unnecessary new road projects are the subject of the second set of revelations today. The Wisconsin Public Interest Research Group (WISPIRG) released a report examining four new proposed road expansion projects that would cost between $1.2 billion and $2.1 billion for the state. The analysis was conducted with the assistance of a former Assistant Commissioner for Planning and Development at the New Jersey Department of Transportation. It found projects that appear unjustified, insufficiently reviewed and supported by outdated data. For example:"
A.J. Nino Amato: Cuts to public transit aid would harm seniors, people with disabilities and our economy: "Gov. Scott Walker’s state budget proposal drastically cuts state transit funding to already-struggling local public transportation programs. This is frightening — not only for seniors and people with disabilities, but for taxpayers and for our state’s economy." Anti-Transit Agenda Will Hit Suburban Small Businesses Hardest « Milwaukee County First: "During his tenure as county executive, Scott Walker failed to protect the transit system year after year. In his time here, we have seen our transit system cut by 20%, which translated into tens of thousands of employees and employers being separated from each other. And despite having it pointed out to him that the absolute wrong things to do was to raise fares or cut services, that’s exactly what Walker did anyway." Daily Kos: Wisconsin Recount, Days 21, 22, 23 – Waukesha Will Finish Just in Time for Rapture: "The GAB director has said that one of his goals in the recount is to maintain Wisconsin's reputation for clean, fair, transparent elections. I have news for him. That reputation was ruined a few weeks ago when Kathy Nickolaus's secretive and audit-proof vote-tallying methods were exposed, and further eroded when live video of the Waukesha recount showed a disorganized and confused process that created more questions then it answered. " 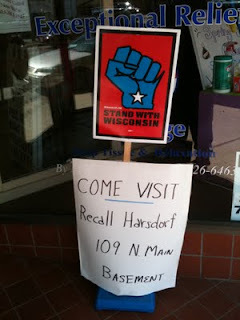 Sen. Jauch on WI Voter Suppression Bill 5.17.11 from Nick Nice on Vimeo. blue cheddar. | a Progressive blog in Wisconsin: "According to Wisconsin Republicans, and ALEC, voter fraud is a big problem. But it’s not. There were 63 fraud complaints in 14 counties during the 2008 election according to a survey of Wisconsin’s district attorneys conducted by the Government Accountability Board after. Thirty-two of the complaints were in Milwaukee County, and 22 counties reported receiving no complaints”.-source"
Area transit authority plan stalled: "Nedeau-Owen said a .00025 percent increase in the county's sales tax could generate about $250,000 for local governments to use to match state and federal grant money. That would allow those governments to spend less of their property tax levies on grant matches and help establish transit 'in and between every community in Sauk County, with links to Madison and elsewhere without requiring any additional money from any local government,' Nedeau-Owen said. He added that a transit system would help alleviate summer traffic congestion in Wisconsin Dells. Rep. Robin Vos, R-Rochester, co-chairman of the Joint Finance Committee, said transit authorities are unpopular, unelected 'abominations' that would raise taxes." Rushing in the wrong direction, oil-trolls cut rail, fund highways. In a lamentable vote last week, state Rep. Robin Vos, R-Rochester, led the state’s Joint Finance Committee to vote 12-4 along party lines to do away with recently authorized regional transit authorities in southeastern Wisconsin and four other areas of the state. It is a boneheaded and short-sighted maneuver that could well ring the death knell for commuter rail linking Kenosha, Racine, Milwaukee and Chicago. 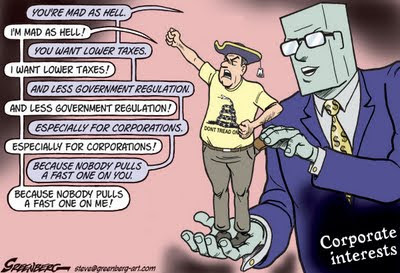 Up Too Early: "Again, I am writing about ALEC - the American Legislative Exchange Council. That secretive organization. Again - and I will continue to do so. People, we need to be aware of this organization - I don't care what your political leanings are; you need to know this. It HAS IMPACTED YOU - your finances, your life. IT WILL IMPACT YOU." 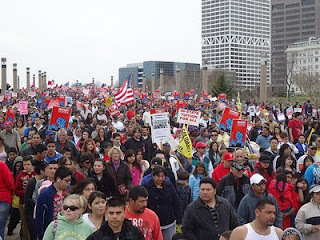 WI State Senator Under Recall Hammer Caught in Supreme Court Recount | AlterNet: "This is the same Senator that is co-sponsoring a voter ID bill. Much like asking Obama for his birth certificate this bill is code for something else. That code is restrict the poor, minorities, students, and elderly from voting. This is not the Wisconsin way. Harsdorf should be ashamed. 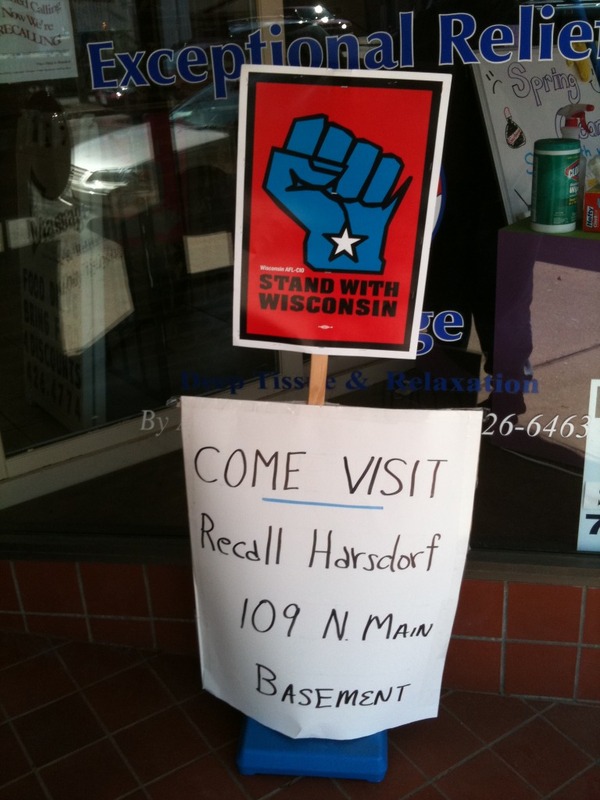 Volunteers collected 23,000 signatures to Recall Harsdorf. She didn't even get the one signature required for her to avoid the voters on election day. 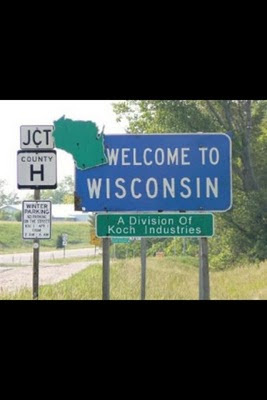 Streetsblog Capitol Hill » Scott Walker’s “Broke” Wisconsin Breaking the Bank for Highways: "It’s called austerity. While other programs are cut, highway expansion projects totaling more than $400 million get the green light. Highway expansion raids the general fund of more than $140 million"
Live Reporting from the Wisconsin Protests | Center for Media and Democracy: "ridership of Madison public transportation in 2010 was the second highest in 40 years—13.6 million rides. About a third of last year’s rides were students getting to and from school or after-school activities and jobs, both K-12 and post-secondary; and about half of those rides were people commuting to and from work. These are all riders who would be negatively affected by the cuts. The Governor’s budget would cut 10%, or $1.8 million, from public transit funding, but it would also source those funds from the general fund rather than the transportation fund, where it would face competition that might increase the cuts further in 2012." Entitlement Hater Paul Ryan Was A Social Security Baby: "When Representative Paul Ryan was 16 years old , tragedy struck his family. His 55 year old father had passed away from a heart attack. Young Paul Ryan found his father’s lifeless body and was burdened by the fact that he had to tell his mother and siblings of this horrible situation. After his father’s passing, young Paul Ryan started collecting social security benefits until the age of 18 years old. He took this benefit and saved it for his college education. Representative Paul Ryan is one example of the millions of people whose lives have depended on our social contract with the American people. Without this benefit, his mother would have had to make even tougher decisions and Representative Paul Ryan may not have been able to pay for his college education. This social contract lifted him and his entire family out of a tough situation." ThinkProgress » Walker And Prosser Crushed Regulations On Koch Industry’s Phosphorus Pollution In Wisconsin: "Koch’s Georgia Pacific plants are well known for releasing large amounts of phosphorus into Wisconsin’s waterways. A report by the state government showed that Georgia Pacific is responsible for about 9% of total phosphorus pollution in the Lower Fox River near Green Bay." 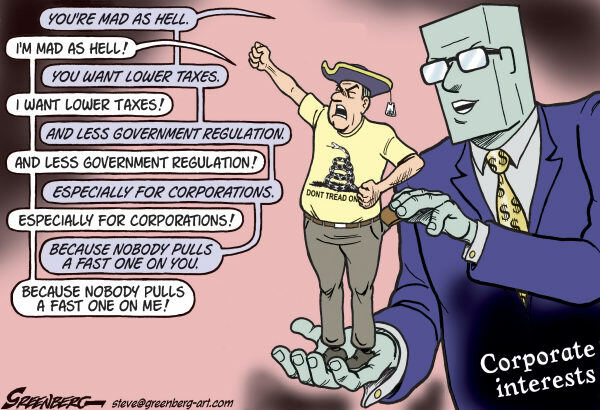 Confused about the Tea Party? This should help. What do you want for Milwaukee public transit? A Sustainable Future for Milwaukee Transportation: Brainstorming for Better Transit. With Earth Day coming up, we want to develop a plan to improve our area's environment with better transit, based on what we as bus riders want and need. We would like anyone who has ideas to improve and expand our transit service here in Milwaukee and the surrounding area to come. Have you ever thought about how better it would be in Milwaukee if we had express bus service, hybrid buses, light rail or anything else? 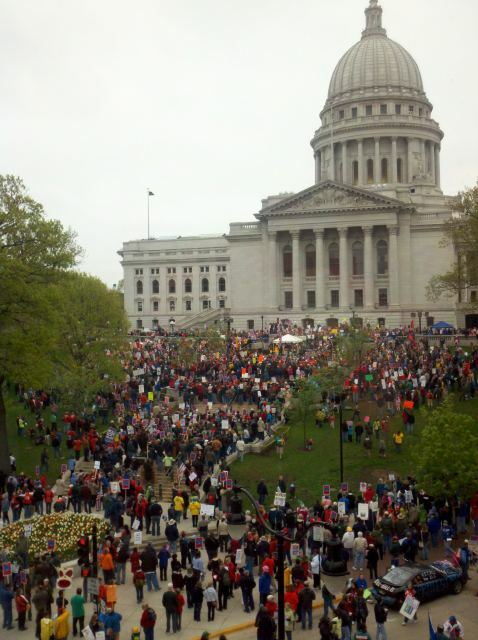 prorailaction : Message: Statewide Transit Meeting in Madison April 8: "The following message from Transit Now announces the next in a series of periodic meetings of statewide transit organizations hosted by the Wisconsin Urban and Rural Transit Association. If you plan to attend, we've been advised that the passenger rail section of the meeting will be held sometime late morning or later. All transit partners and interested parties are invited....spread the word. This will be a update on all transportation. You are encouraged to show what you are doing around the budget, we can share ideas and collaborate and coordinate where beneficial. See you next Friday—have a great weekend! 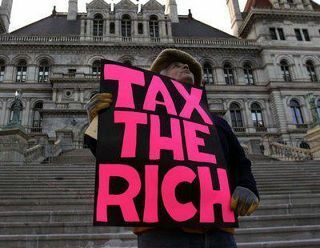 Wis. unrest exposed GOP strategy to split lower classes, liberal author says | The Raw Story: "Reich pointed out that the managers of Wall Street who caused the current unemployment crisis would have lost their jobs had it not been for their taxpayer-supported bailout two years ago. 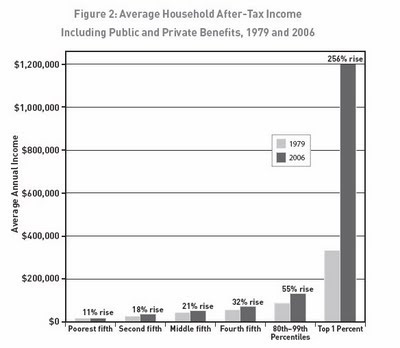 He noted that taxes on the earnings of some 13 hedge-fund managers could pay for 300,000 teachers." The Less Discussed Part of Walker’s Wisconsin Plan: No-Bid Energy Assets Firesales. « Rortybomb: "16.896 Sale or contractual operation of state−owned heating, cooling, and power plants. (1) Notwithstanding ss. 13.48 (14) (am) and 16.705 (1), the department may sell any state−owned heating, cooling, and power plant or may contract with a private entity for the operation of any such plant, with or without solicitation of bids, for any amount that the department determines to be in the best interest of the state. Notwithstanding ss. 196.49 and 196.80, no approval or certification of the public service commission is necessary for a public utility to purchase, or contract for the operation of, such a plant, and any such purchase is considered to be in the public interest and to comply with the criteria for certification of a project under s. 196.49 (3) (b)." 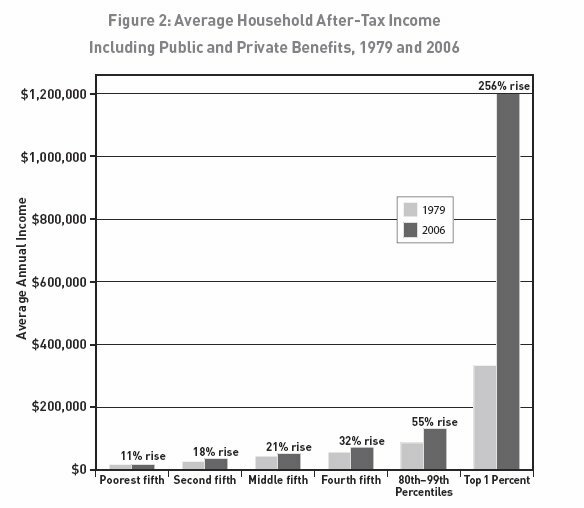 ThinkProgress » Income Inequality In The U.S. Is Worse Than In Egypt: "Income Inequality In The U.S. Is Worse Than In Egypt"
...income inequality in the U.S. is the worst it has been since the 1920′s, which is a real problem. 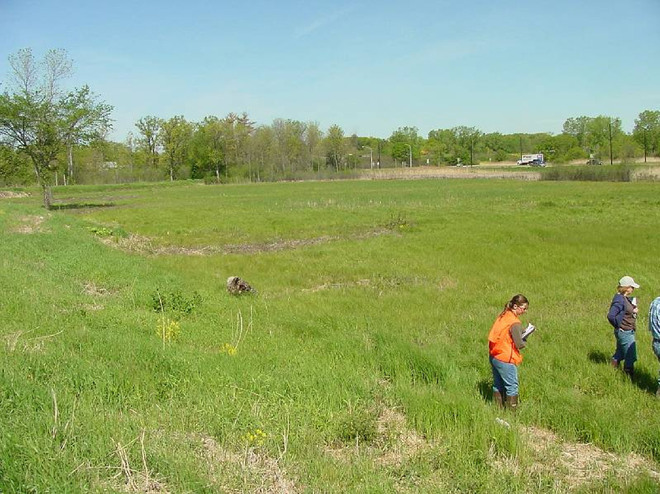 Observers have reported wildlife at the wetland located at Highway 41 and Lombardi Ave., including sandhill cranes and five adult geese. Walker's wetland bill is criticizedA bill proposed this week by Gov. Scott Walker to sidestep a Department of Natural Resources' review of a wetland at a Green Bay-area retail project is drawing sharp criticism from environmentalists while also signaling his willingness to use his powers to advance his economic agenda. The legislation would allow a developer to fill a small wetland for a retail sporting goods store at Highway 41 and Lombardi Ave.
Public Transportation Riders Saved an Additional $400 This Year, With an Average Annual Savings of $9,581: "Washington, DC - Heading into the end of the year public transportation riders have a little more money in their pockets. As gas prices rise this holiday season, switching from driving to riding public transportation is a proven way for individuals to cut monthly and yearly transportation costs, while also reducing their carbon footprint"
he will restore at least some of the bus service that was cut under former County Executive Scott Walker."